About $204,000 was transferred from USD 231’s general fund to pay expenses of the Gardner Edgerton Youth and Community Programs fund. Last year when the GEYCP was formed, officials said it would be self-supporting and have no effect on the district’s mill levy. It was to be funded thru participation and ancillary revenues. 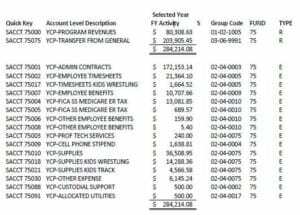 Estimated annual revenues and expenditures were expected to generate about $250,000, although no start-up plans were ever made public, and input from taxpayers for GEYCP was never gathered. Last year, former public information officer LeeAnn Northway said. “As with any fee-based program, there are implementation costs needed to prepare for future programming. In 2017-18, the extraordinary school fund budget (Fund 22) will be used for YCP accounting. Fund 22 does not have a mill levy. The startup expenses were $10,000 from the General fund.” There was not an extraordinary school fund budgeted for prior to last year. “The intent is for surplus funds generated from YCP to reimburse the general fund,“ Northway said at the time. In April 2018, the estimated loss was $153,000; additional general fund costs, such as utility costs, were added in June 2018 which is the end of the fiscal year. A current profit and loss statement supplied by the district indicates a loss of about $204,000 for the extraordinary school fund. The financial statement provides information on year-to-date program revenues and salaries, benefits, payroll taxes, supplies, overhead and other program costs, according to district officials. The district’s software will track historical performance of the extraordinary school fund to clearly show the cumulative investment made by the district in GEYCP. Cost thru June 30, 2018 totals $214,000. To date, 2,474 participants have enrolled and participated in GEYCP-offered programs. That is a loss of about $87 per participant. During the 2017-2018 fiscal year, GEYCP offered or provided support to over 60 activities ranging from a low of six enrollments in one offering and a high of 350 in another event. GEYCP plans to improve its current programming while, at the same time, offering new and innovative programs during the 2018-2019 school year, according to information supplied by USD 231. 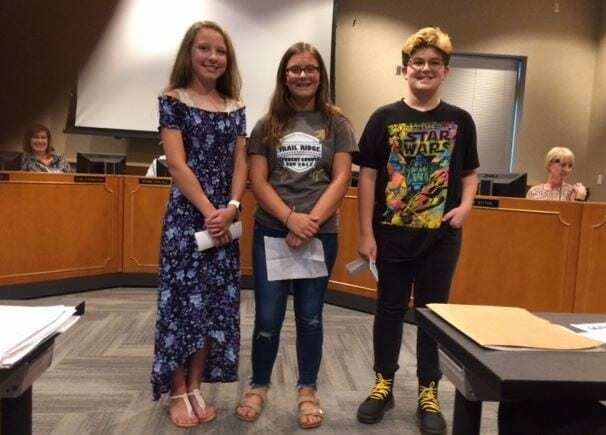 “Gardner Edgerton Youth & Community Programs (GEYCP) supports and develops educationally-driven activities for youth and adults in and around our communities,” said John Duncanson, GEYCP coordinator. School officials say they are proud of the already established collaborative relationship with the City of Gardner. During the 2017-2018 school year, GEYCP collaborated multiple times with a multitude of city departments in order to offer programming and/or provide support for existing programming. District officials say they are also excited to share that, on May 1, 2018, Pam Stranathan, USD 231 superintendent, members of the Educational Services Department, and GEYCP met with city representatives to discuss collaborative efforts for the 2018-2019 school year. On May 8, 2018, USD 231 Director of Secondary Education, Gardner-Edgerton Middle School Principals, and GEYCP met with City representatives to discuss the three “Rock the Ridge” activities planned for the 2018-2019 school year. “We are appreciative of the city’s willingness to work with the district in a variety of areas, including extracurricular programming,” Stranathan said.